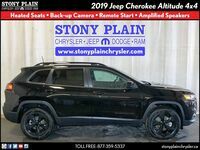 The 2019 Jeep Cherokee in Stony Plain AB offers impressive off-road performance paired with nimble handling and an extensive list of technology features and systems. This impressive vehicle is ready to check all the boxes in the small crossover segment. Three engine options are offered on the 2019 Jeep Cherokee. The first is a 2.4-liter four-cylinder engine producing 180 horsepower and 170 pound-feet of torque. 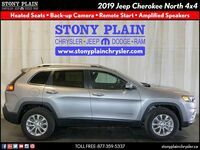 The Cherokee will also offer Jeep’s new 2.0-liter four-cylinder engine producing 270 horsepower and 295 pound-feet of torque. 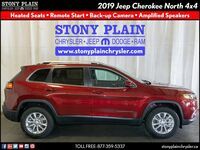 The final engine offered on the Cherokee is the 3.2-liter Pentastar V-6 engine rated at 271 horsepower and 239 pound-feet of torque. The 2019 Jeep Cherokee will be available in five total trim levels. The crossover is available in Latitude, Latitude Plus, Limited, Overland and the trailer-rated Trailhawk models. A variety of features will be offered on the 2019 Jeep Cherokee. Like all Jeep models, the Cherokee is ready for off-road performance. 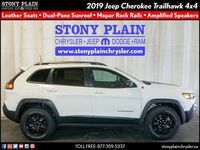 Available off-road features offered on the Cherokee include four-wheel drive, Jeep Active Drive Lock, skid plates, tow hooks, a locking rear differential and selectable drive modes. 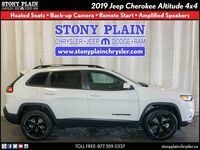 Even with the rugged capabilities, the 2019 Cherokee is a versatile and advanced crossover. The interior of the Cherokee offers all of the best technology features Jeep has developed. 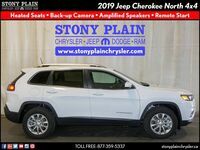 To help keep everyone informed and entertained, the Cherokee offers the Uconnect touchscreen infotainment system. The Uconnect system offers connectivity via Bluetooth, USB and auxiliary along with Apple CarPlay and Android Auto. A variety of safety and driver assistance systems are available on the 2019 Jeep Cherokee. These systems include ParkSense Parallel/Perpendicular Park Assist, Adaptive Cruise Control-Plus, Forward Collision Warning-Plus, and LaneSense Lane Departure Warning-Plus, Blind-spot Monitoring, Rear Cross Path detection and the ParkView rear backup camera with dynamic grid lines.